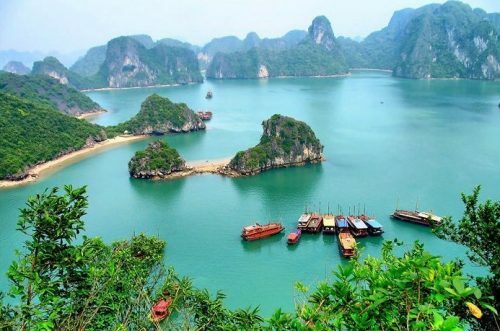 Including interprovincial buses, tourist buses, private cars and motorbike, car transportations is the most popular selection among tourists travelling from Hanoi to Halong. The road and bridge tolls are quite cheap are the main reasons why most tourists choose this type of transportation. 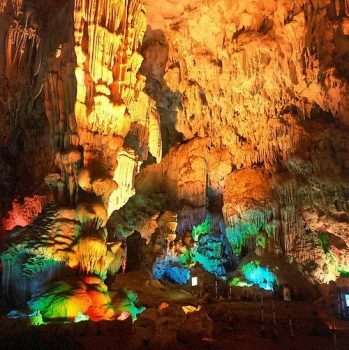 Moreover, an about 3-hour-and – a- half drive by car enjoying air-conditioning atmosphere and cushioned seats seems to be comfortable and interesting to many tourists. If you are interested in admiring these stunning landscapes while traveling by train, it is a good idea to travel by train. 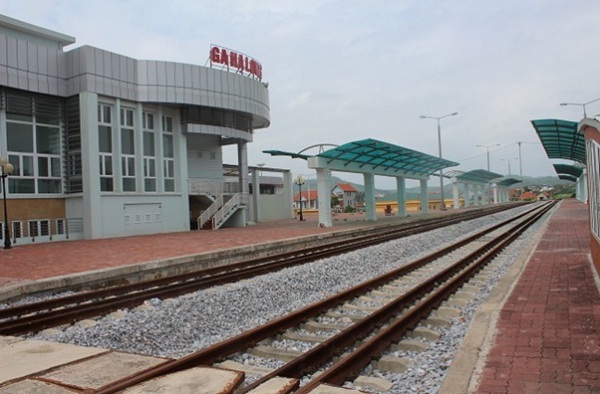 To travel to Halong by train, you will get on a 5.15.a.m train at Yen Vien Station (Hanoi) and join in an about 7 – hour drive to reach Halong City. 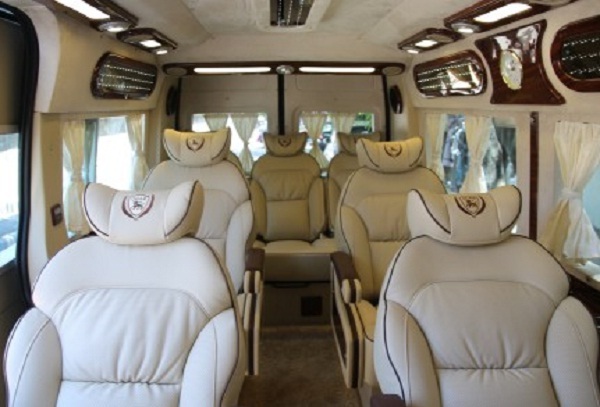 On the way, you can observe the picturesque views of endless huge green rice paddy fields, lush forests, and ocean – the unique experience that you can never forget within your life time. However, for purity lovers, the train might be a nightmare. Although it is not too dirty it is either trackless. Since 2008, tourists could have taken advantage of the new service offered by Northern Services Flight Company. 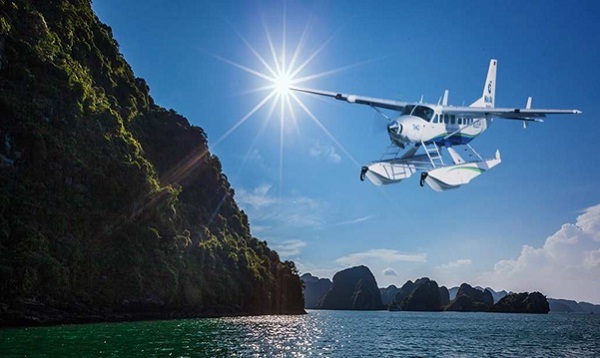 The only 45-minute flight to get to Halong City from Hanoi costs you around $550USD for a round trip ticket and $350-420USD for a one way ticket. Beside normal transportation, this company also provides tourists with see-sighting services. 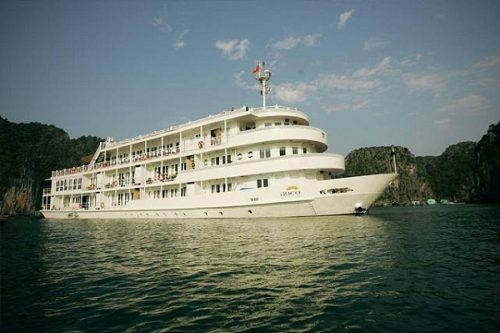 Admiring the panoramic sight of Halong Bay from above must be a fascinating memory.